The latest in cutting-edge design, the Velocity® 926V will elevate your salon to the next level. Customers love the intense, yet cool 10 minute session. 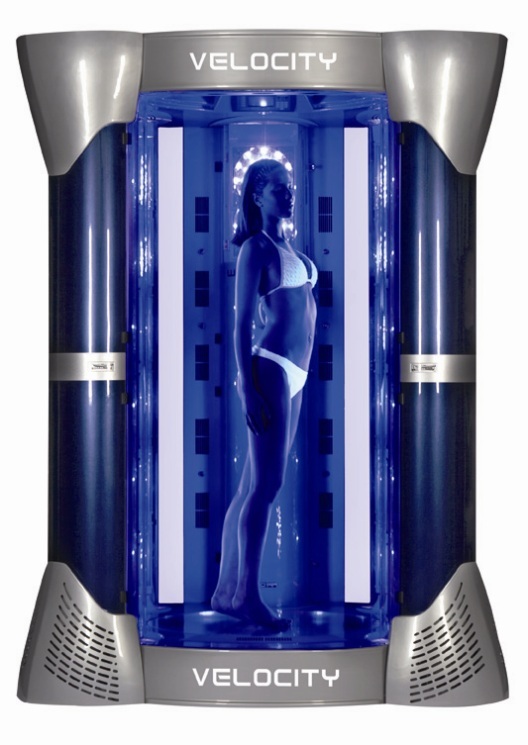 The open, non-claustrophobic design will entice customers that may have been uncomfortable in more traditional “clam shell” tanning bed designs. This state-of-the-art design will captivate and “WOW” your clients.